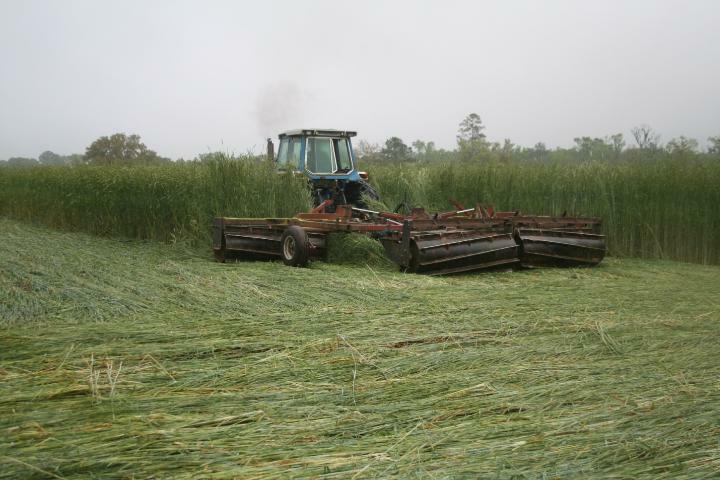 Make plans to attend the 2019 Southern Cover Crop Conference that will be held on July 16-17 at Auburn University. The first day of the conference will take place at Auburn Hotel and Conference Center. Speakers will cover topics related to maximizing benefits of cover cropping. The second day of the conference will take place at E.V. Smith Research Center. Field demonstrations will be used to showcase best management practices and new technology related to cover crops​. Registration includes access to all workshop sessions, poster session, and field demonstrations on July 16-17, 2019. Lunch on both days is included with registration. Registration is $150 for professionals and FREE for farmers. For more information, to register for the conference or hotels, please visit the Southern Cover Crop Conference website. Cereal rye cover crop rolling/crimping in late March at Brock Farm in Monticello, Florida. Custom roller/crimper design and fabrication by Kirk Brock.